Sick of getting cold and flu in this winter? Can’t get rid of that tough cough? Each year, more than 100,000 people visited hospital due to complications from the flu virus. Unfortunately, most of us get the “flu” or “influenza” virus at least once in our lifetime. The associated symptoms and sings are all-too-common fever, sore throats, congestion, fatigue, muscle and body aches, runny nose, dry cough, sweating and watery eyes. Colds are much less severe than the flu, but like the flu, virus and germs cause colds. Colds cause less severe symptoms such as nasal congestion, sweating, coughing, sore throat, and light headaches. Though it may make you feel lousy, getting cold is not always a bad thing. Instead, it’s a sign that the body’s resistance are strong and vital, working to rescue you to a state of good health. However, if your immune system is already compromised, a cold could further weaken your body, leaving you open to more serious illness. Can Acupuncture Chinese medicine help Cold and Flu? Clinical studies have suggested that using acupuncture as a preventive approach to colds and flu can reduce the incidence of upper respiratory tract infection and shorten the length of the illness. Acupuncture and Chinese herbal medicine work by rebalancing the body’s system, regulating the body’s healing ability, and enhancing the immune system. Germs, bacteria, and viruses are everywhere – in the food we eat, the air we breathe, and the water we drink. However, according to Chinese medial theory, they do not cause disease. Illness occurs when certain organ systems are weak and out of balance. When our bodies are in a weakened and unbalanced state, a hospitable environment is created. Germs, bacteria and viruses thrive, leading to a cold or the flu. 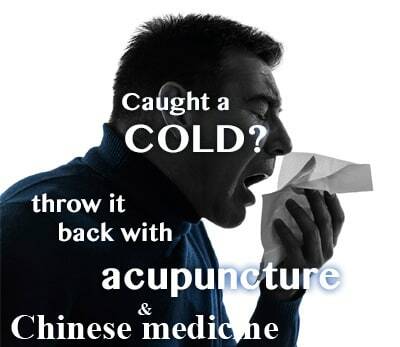 Why acupuncture and Chinese medicine for cold and flu? Most people are told that there are nothing can be done for your cold and flu, however acupuncture and Chinese herbal medicine are very effective in relieving the symptoms such as chills, headache, running nose, muscle sore and ache, sore throat. After a combination of treatment including acupuncture, cupping, Guasha (scrapping treatment), most people feel better straight away. 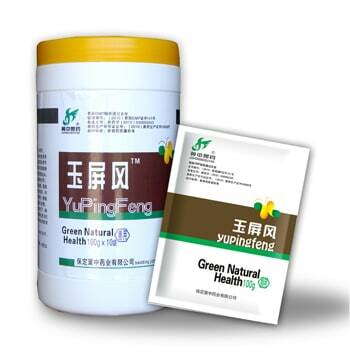 People can also have Chinese herbal tablets or cooking raw herbs according to the severity of the cold or flu. Those herbs also have quick and effective result. If you have strong symptoms such as severe headache, , the cooking raw herbs are the one to go. They can help you relieve the symptoms in few days. No chemical or drugs are used with acupuncture and Chinese herbal medicine. No matter you are generally healthy or have other health issues, acupuncture and herbal medicine are relatively safe to take. And they are suit for Children and pregnant women as well. We use the herbs for ourselves and our own family members when having cold or flu. The concept of Wei Qi is similar to the Western concept of the immune system. Wei Qi functions as a barrier protecting and defending the body against foreign substances, which can cause illness and diseases. When Wei Qi is strong and abundant, we remain healthy. When the supply of Wei Qi becomes inadequate, health is compromised and we become vulnerable to outside invaders. Through our lives, a variety of illness affect our health and wellbeing. Although most of the time we recover quickly and regain our health, when these factors are numerous, our internal mechanisms become compromised and weakened, our Wei Qi becomes depleted, and we get sick. By the time illness occurs, the body`s self-regulating, self-balancing and healing systems have already been affected. Acupuncture and Chinese medicine support and strengthen the systems of the body that are involved in the production of Wei Qi and can help rebalance and support the immune system and stimulate Wei Qi energy. By balancing up the supply of Wei Qi and facilinating the smooth and free flow of it throughout the body, the body’s organs and meridian system become strong, enhancing their ability to effectively fight the illness and diseases. Acupuncture and Chinese medicine are drug free, natural ways to support the body’s self-repairing, self-balancing and healing system. If illness dose occur, acupuncture can help you get back on your feet again, helping to stare off prolonged illness without the use of medicine and over–the-counter drugs.